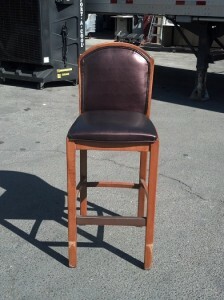 The Caterers Inc has a limited supply of bar stools and wooden restaurant height chairs available for rent in the Las Vegas area. Call and reserve yours today. We will need the quantity and drop off and pick up dates.